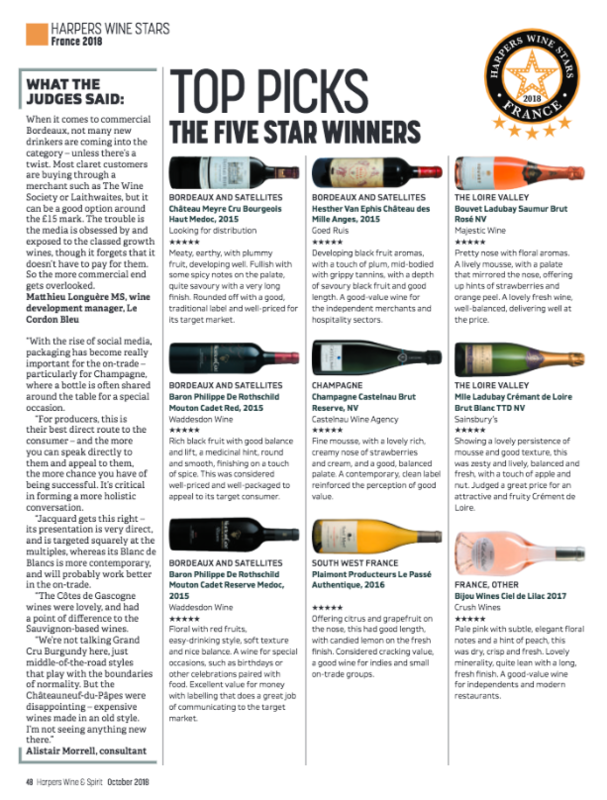 The Harper’s Wine Stars results have been published in their guide to the top wines in France rated on quality, value for money and design/packaging. The judges were some of the industry’s most renowned wine buyers both in the on-trade and off-trade. 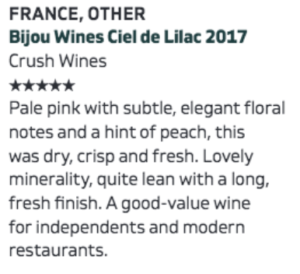 Bijou’s Ciel de Lilac was chosen as a Top Pick scoring 5/5 Stars and Le Bijou de Sophie Valrose scored a very honourable 4/5 Stars.